Ethiopia is facing its biggest protest movement in decades. Its uncompromising approach to development is to blame. For those who would speak frankly about politics in this landlocked East African country, the first challenge is to find a safe space. 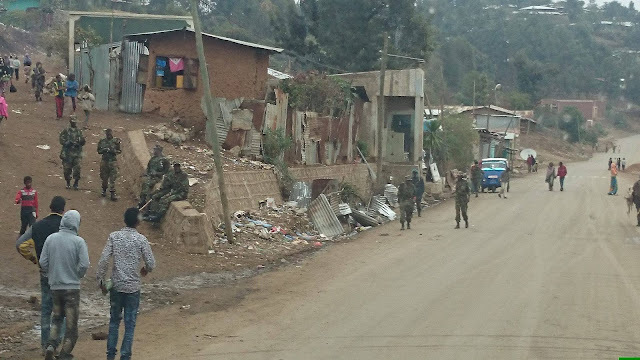 Though it is one of the largest cities in Oromia — where members of Ethiopia’s Oromo ethnic group have taken to the streets in recent months in unprecedented numbers to protest their political and economic marginalization — Adama has remained mostly quiet. Hidden beneath the casual veneer of daily life, however, lurks a deep-seated suspicion of the government, which has built a massive surveillance apparatus and cracked down violently on its opponents.